HIGH HOLIDAY (420) KICK-OFF! Taking BOTH sides of City-Hall for our largest event to date. Join thousands of your friends & family, along with 100+ of Colorado's favorite companies!! EXCITED that our Southern Colorado family is joining us! Surprise announcements to come. 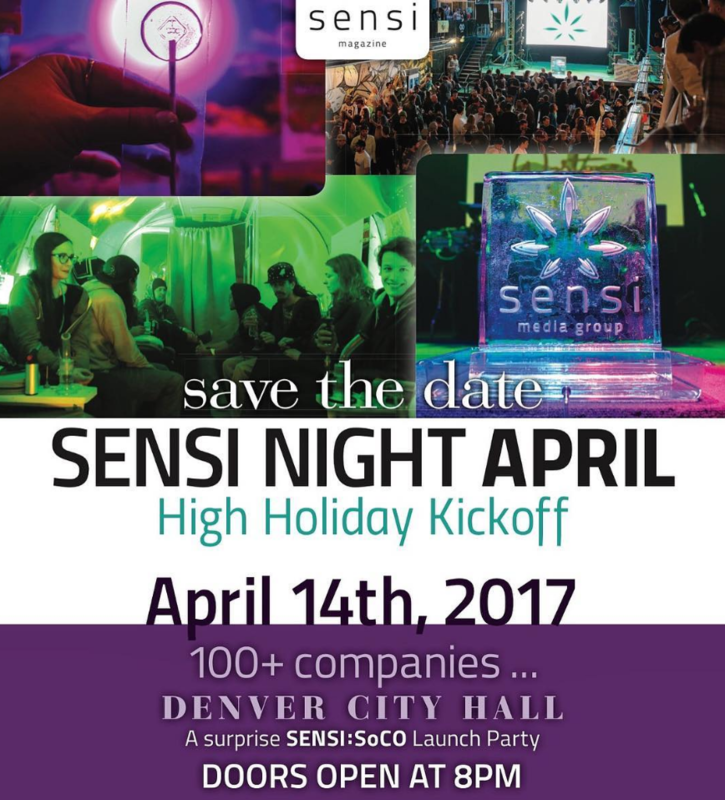 Sensi Nights are FREE events that offer you a great opportunity to meet face-to-face with local like-minded cannabis thought leaders. Events are held in a relaxed, comfortable environment where you can expand your network and create new friends and opportunities. RSVP for FREE and invite a guest! April will be our best event to date!! 100+ of your favorite Colorado cannabis companies will have representatives on site to answer all of your product and brand questions.